Gabriel Rufyiri, chairman of OLUCOME, the corruption watchdog says he doesn’t believe in the success of the economic development program announced by Burundi President. “It’s a program for the government not for the population”, he says. President Pierre Nkurunziza has announced in his address to the nation on the occasion of the celebration of the 56th anniversary of the Independence Day that the economic development program has been elaborated for the first time by 70 Burundian experts. The ten-year program will be extended from 2018 to 2027. “From now on, investors or those who wish to support the Burundian projects must refer to this program”, said President Nkurunziza adding that the program will be translated into Kirundi language and taught like any other patriotic education. President Nkurunziza also said the same team of experts will be reinforced by other additional experts and will elaborate together another program which will guide the Burundian projects until 2040. “They will start working on it in 2022”, he said. Gabriel Rufyiri says the established program should not be compared to the Poverty Reduction Strategy Papers (CSLP I&II) with its full participative rate. “The government, civil society organizations and partners have been involved in its elaboration”, he says adding that it was fully supported by partners. He also says the program cannot succeed unless the needed amount for its full implementation is fixed. “The program needs to be supported given that internal revenues only cover expenses related to government functioning,” he says. According to him, Burundi is among the last three poorest countries in the world with a youth unemployment rate of 65% and scarcity of cultivable land. 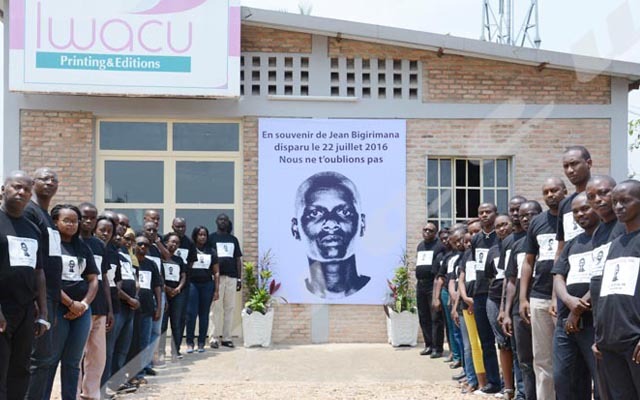 “If we consider the current business and economic climate index in Burundi, it is difficult to believe in the success of this program”, he says. Faustin Ndikumana, Chairman of PARCEM, a local NGO involved in the change of mindset says he is astonished to hear about the new program. “The 2025 vision seemed to be a high-level planning document. However, it has not been evaluated,” he says adding it was inaugurated by President Pierre Nkurunziza.